Meeting mom with a newborn baby from the hospital is not only beautiful, but also very important moment. To beat such a big event can be different ways that it is remembered even to the staff of the maternity hospital. The birth of a child is a very joyful and important event in the life of every couple. Vanity, flowers and gifts, greetings, all waiting for the mother after discharge from the hospital. By the way a meeting should be organized at the appropriate level. You can use different creative ideas. And yet before you go to meet a mother with a newborn baby, it will not hurt to do everyday things. Thoroughly clean the apartment as it is clearly not to harvest the first time. Be sure to take care of lunch and dinner. Will not prevent to take to the hospital list of foods that are forbidden during breastfeeding. Also happy father and other relatives must purchase a special set for the discharge, two bouquets of flowers – for midwives and mothers, as well as champagne and chocolates to the medical staff. How to arrange a meeting with balls? Here comes the long awaited moment of meeting her. This is a very important event in a couple's life, so beat meeting the most interesting ways. For example, a great option would be a celebration with balloons. Need to order a large number of balloons in the shape of hearts filled with helium to decorate their car, where will you go to the hospital. 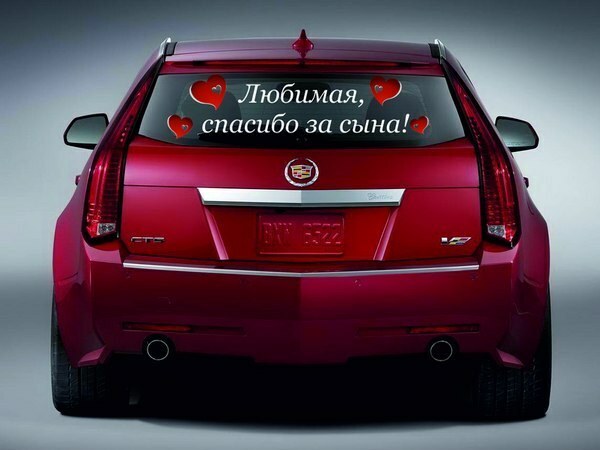 It is desirable to make the car the inscription "food for a daughter/son" and even draw a carriage with the baby. Though it is better to use the services of the artist. Well, at home mom with a toddler needs to wait for children's room, also decorated with balloons-hearts. If the above idea have you considered original enough, you can celebrate the meeting of the hospital in an old Russian rite. Locate in your city, the ensemble of Russian folk songs. When mom and baby will be released from the hospital members of the ensemble in traditional costumes will welcome their cheerful songs and ditties. Then the newborn should be put on a fur coat from natural fur, so he never needed. Then you can give gifts to new parents. By the way, the grandfather of the baby should give him a silver coin. The first bathing is necessary to put it in the tub. But the grandmother should file young loaf, baked with your own hands. Also someone from the family must give the baby doll charm. And stitched it should be without the use of needles and threads. For a romantic meeting from the hospital will need to hire a violinist. Let him start to play with the appearance of the mother with the child. Then happy father's supposed to get down on one knee and with words of gratitude to give his beloved a huge bouquet of flowers. At home you can arrange interesting sequel in the form of a romantic dinner.